We’re pleased to be bringing you the next video from Leeds indie collective HOPE & SOCIAL, with the premiere of Dig Hard. Taken from their latest album, Feel, this charming chunk of wonky folk-pop mixes up all the wonder of Grandaddy and Guillemots with plenty of brass and choir for good measure. As part of their on-going commitment to collaboration, the Boys in Blue Blazers have commissioned nine filmmakers to produce one video for each of the songs on their new album, which culminated in a world-premiere event at the Hyde Park Picture House in Leeds last month. The latest to join the Hope & Social ranks is bassist Simon Fletcher. He explains the band’s concept: “For this album, we wanted to do something special. Something more than simply release a record. We put out an open call – £500 per song to anyone who wants to make us a video. To say the band are prolific is a bit of an understatement. Over the last eight years, the six-piece (sometimes more, depending on how the mood takes them) have played so many gigs in so many different formats it’s difficult to keep up. From their 12 Gigs Of Christmas, which saw them play a show an hour one winter’s day around Leeds, and their Tour of Infinite Possibility, which culminated in a massive performance at Leeds Arenas as part of the Grand Depart celebrations in 2014. Get more Hope & Social at hopeandsocial.co.uk and on Facebook, Twitter and Instagram. Feel is available to boy on a pay-what-you-want basis HERE. 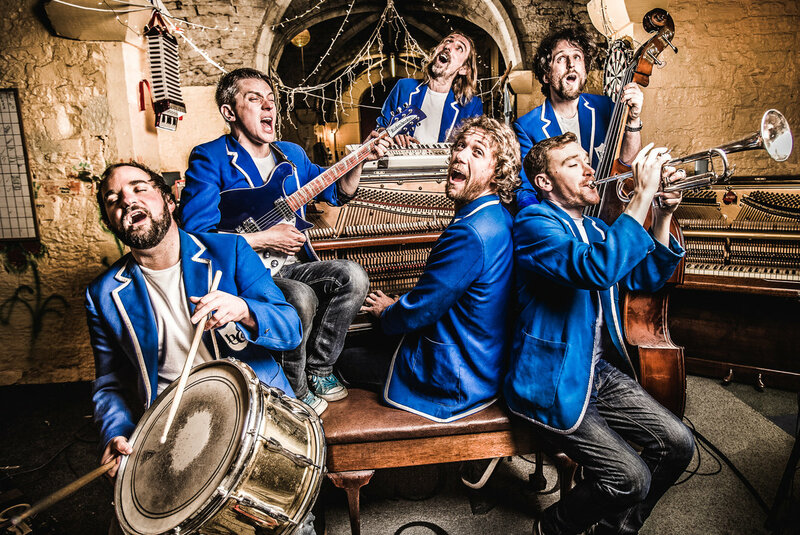 RT @bangthedrummag: VIDEO PREMIERE >> We’re chuffed to share the new video by Boys in Blue Blazers @hopeandsocial. Watch Dig Hard here ? VIDEO PREMIERE >> Hope & Social – Dig Hard https://t.co/O4jq2NkAXe via @bangthedrummag Maybe my favourite track from the album. Nice video! VIDEO PREMIERE >> We’re chuffed to share the new video by Boys in Blue Blazers @hopeandsocial. Watch Dig Hard here ?